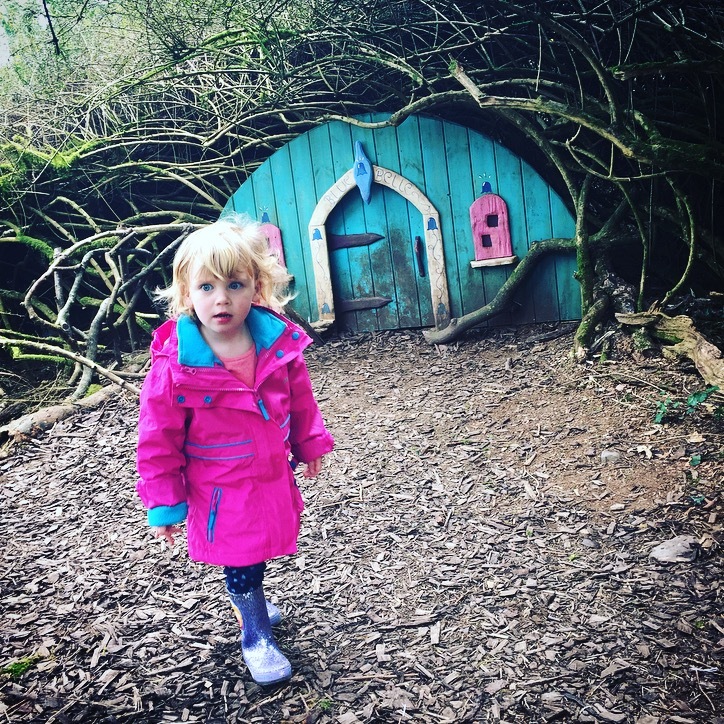 Dear Mummy, after visiting Mount Stewart on our recent trip to Northern Ireland we tracked down where they filmed scenes from Game of Thrones. Season 1 of the TV adaptation used the courtyard of Castle Ward in County Down, Northern Ireland, for Winterfell. My mummy and Daddy are huge Game of Thrones fans and even my Grandma was an extra in Season 2! So it was an absolute must when we visited Northern Ireland. So we’re heading to Winterfell, home of the Starks. Well actually it’s called Castle Ward and home to The National Trust. We visited Castle Ward’s neighbour Mount Stewart a couple of days ago and had a lovely afternoon. Today is filled with the same excitement about attending a new National Trust property. 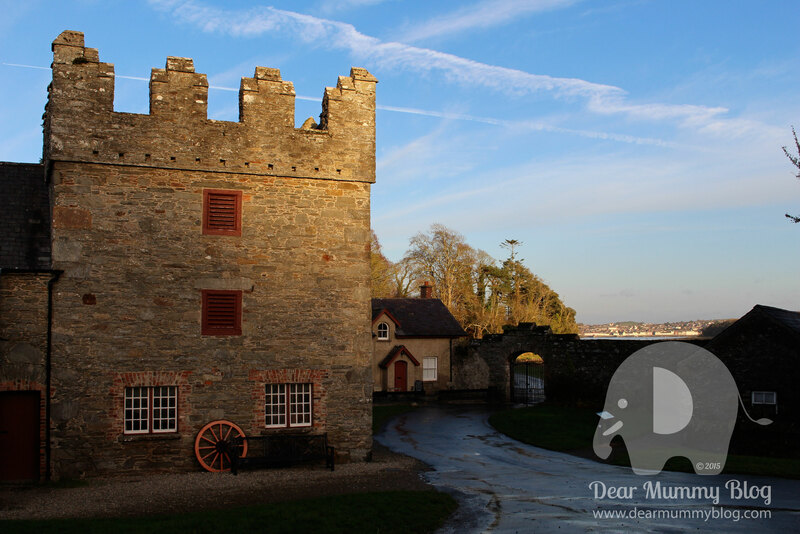 Castle Ward is on the other side of the lough, 2-3 miles from Strangford Town. It takes around 45 minutes from Belfast and I nap on the way there. We arrive in Strangford first to have lunch and see the little fishing port. A warm welcome greets us at The Cuan Hotel where we stay by the fire and eat a great lunch. 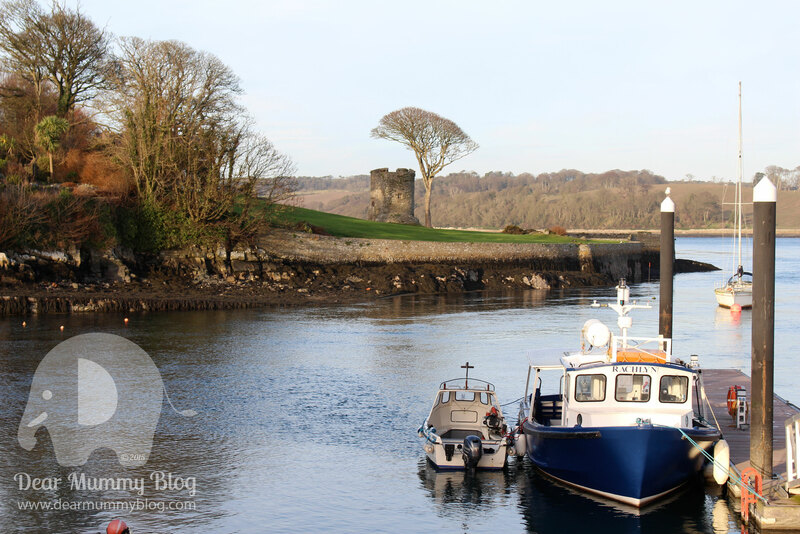 We study the local maps and watch the little car ferry travel across the waterway known as The Narrows to Portaferry. The ferry crosses every 30 minutes and only lasts 8 minutes. Strangford Harbour, Lough and The Narrows are home to a variety of wildlife such as Crabs, Lobsters, Sharks, Seals and the odd killer whale and humpback have even been spotted! Wow that’s a lot of wildlife to see! This place is steeped in history too. 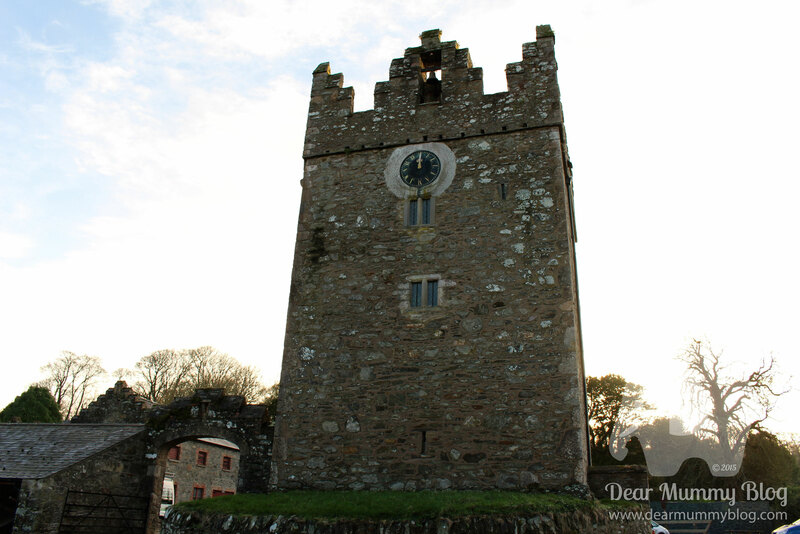 There are many Tower Houses dotted around, their big turrets visible from the roads. We see the sign for Castle Ward and head down the long drive pass the main house and into the car park. It’s not what we expected as we roll up to the estate through the rolling fields with views over Strangford Lough. It’s a cold and bright December day in Northern Ireland. The most interesting aspect of Castle Ward is its dual architecture from the 16th-century fortified tower house (used as inspiration for Winterfell filming and CGI) to the 18th-century house. 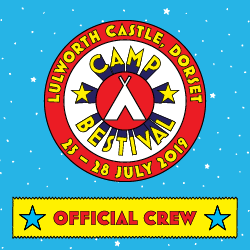 There’s a little children’s playground next to the information point and only the grounds are open today (we knew this before we left) so we miss out on seeing the cafe and main house. There is enough to see and do though. We trundle off to the farmyard and the bank side of Strangford Lough. Walking down the path we can see the turrets of the old farmyard. This is where they filmed some of the first season of Game of Thrones. Through the iron gates you can see the lough and they also have a little farm area with goats and chickens. The light is fading…so we take the woodland path back up and get a good glimpse of the 18th-century house, I play for a while in the play park before heading home. Well worth a visit if you are a Game of Thrones fan, enjoy beautiful scenery and a good old walk. A lovely day in Strangford and Castle Ward. Can’t wait to return in the summer to have a good explore when it’s not so cold! Brrrrrr. Dear Mummy, on our recent trip to Northern Ireland we headed outside Belfast to find an old National Trust estate called Mount Stewart. It’s an 18th-century property situated on the east shore of Strangford Lough (or Strangeford as my mummy calls it). It’s about 40 minutes from Belfast where we are staying and the car journey gives me a good opportunity to nap before our great adventure. It’s a grade A-listed building built for the Vane-Tempest-Stewart family, Marquess of Londonderry. Their family played an important role in politics so I’m told and one name I recognise is Viscount Castleregh who acquired the house in 1821 after his father’s death, he was a very famous Foreign Secretary. He lived there during his childhood and what a beautiful place to live! However, the main star of the show is the late, great Lady Londonderry who spent her time redesigning and planting the new gardens straight from her imagination. What creativity she had! Because of the milder climate, created by Strangford Lough, plants which could not otherwise have survived so far north have flourished here. This gave Lady Londonderry much more scope for her mediterranean themed gardens. The National Trust were left the gardens in 1957 so the public could enjoy their beauty too. We’ve wanted to visit this estate since we saw it featured in the film Dracula Untold recently at the cinema. 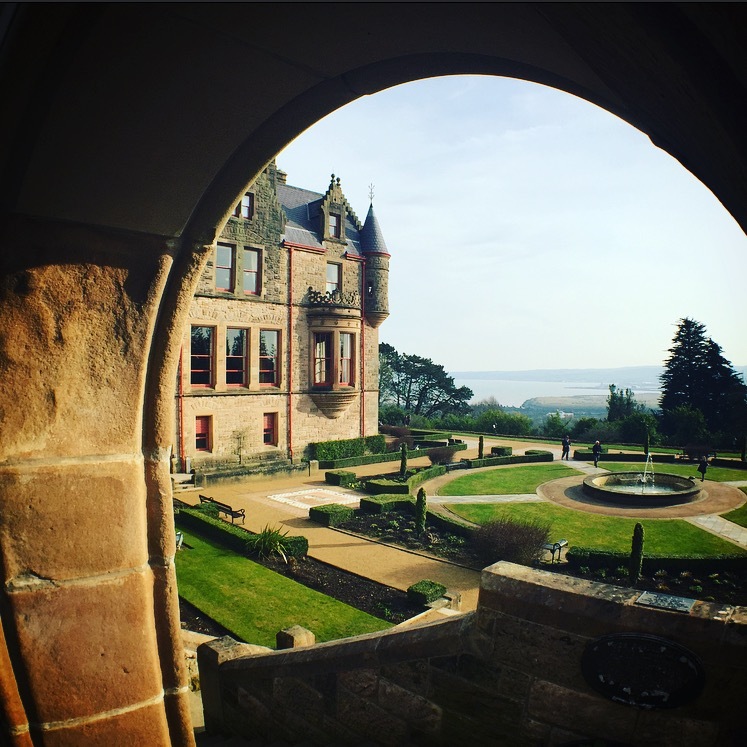 The ‘Spanish Garden’ was transformed into Dracula’s Castle for the film and it’s not the first time National Trust properties in Northern Ireland have been used as filming locations. Across Strangford Lough, via the ferry, is a National Trust estate called Castle Ward which was heavily featured in Game of Thrones. 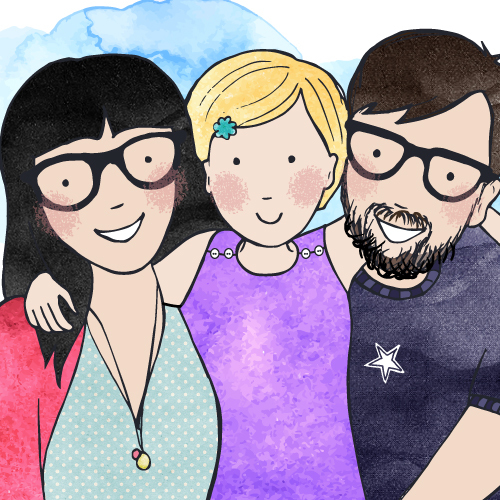 *We make a note to visit there also on our Northern Ireland tour. 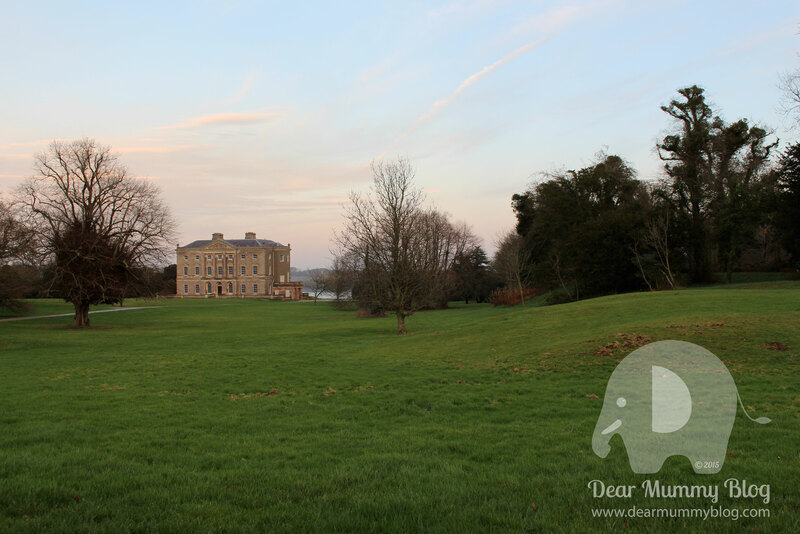 Mount Stewart is located off the long and twisting coastal Portaferry Road which hugs Lough Strangford. It’s a beautiful car journey to the estate from Belfast through Newtownards. 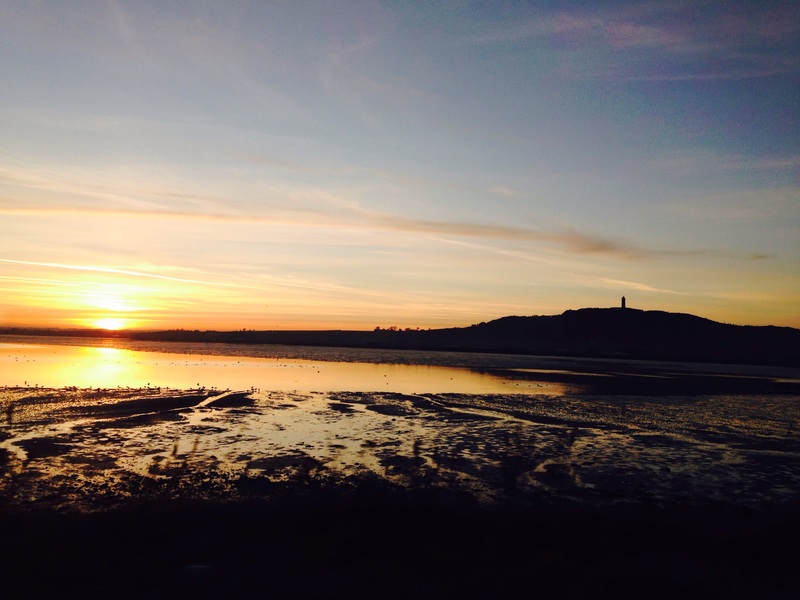 The car park overlooks the Strangford Lough and the jungle-like path takes us to the visitors centre where we are warmly greeted by the friendly staff and ushered into the warm cafe. They are serving Irish Stew and roasted carrot soup, so we grab some lunch before our epic walk outside in the cold. It’s a bright sunny day and the sun is low in the December sky, some frost is still on the grass and the statues in the gardens are heavily wrapped in plastic to protect them from the Irish winter. It seems a bit warmer here than Belfast I think though. My mummy is testing out her new camera today (Canon 700D) which she got for Christmas. She still has no real idea how to use it, but it’s good to get some quick practice in. 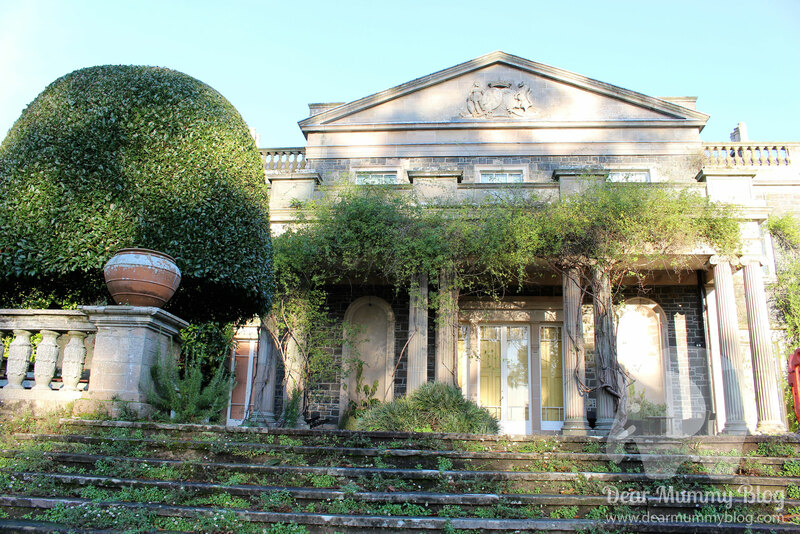 We head to the front of the house, which is currently being renovated and will re-open in Spring 2015. The National Trust have done a great job of keeping building work to a minimum so as not to ruin the surroundings. The gardens are peaceful and there aren’t many people around today. 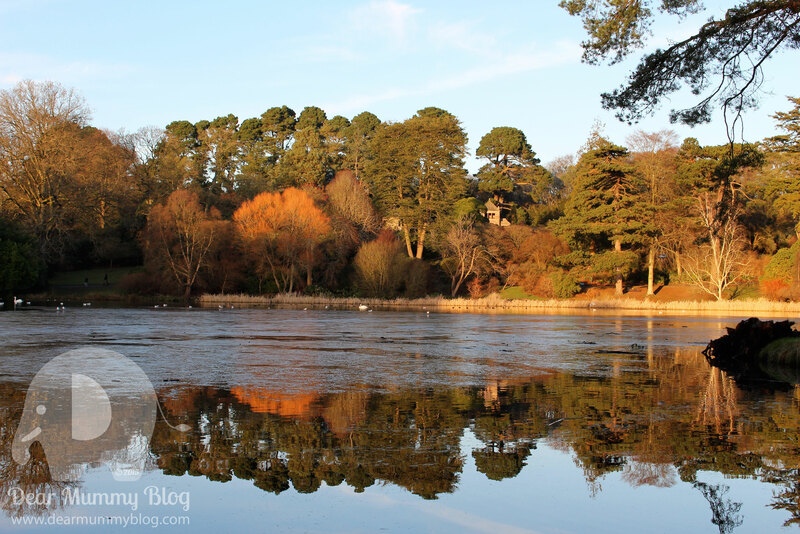 The present-day estate of Mount Stewart extends to 98 acres with a large lake and many monuments and we try to see everything but it’s very cold so just visit the gardens and the lake. We try to do as much walking as possible to keep ourselves warm. We miss out on the The Temple of the Winds and the Tír na nÓg (Irish for ‘Land of the Young’) burial ground. As it’s the winter season a lot of the stonework is covered up for protection and pathways are roped off because of icy conditions. Unfortunately we didn’t see any Red Squirrels. You see the ‘Ards Peninsula (where we are) currently has one of the largest populations of endangered red squirrels in Northern Ireland. 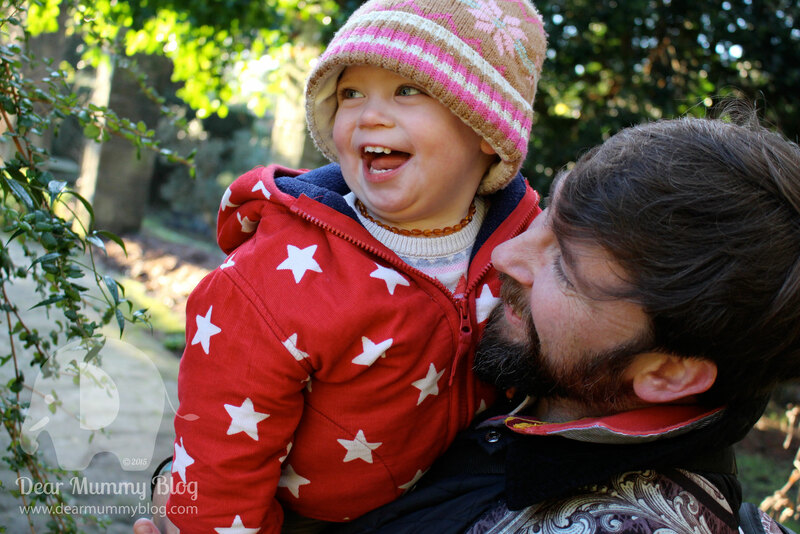 We are told Mount Stewart is one of the best places to see them. Must be too cold to see them today and they aren’t in the trees or around the feeders. The National Trust prides itself on the conservation of these little creatures and organises trails around the estate to see them in their natural habitat. 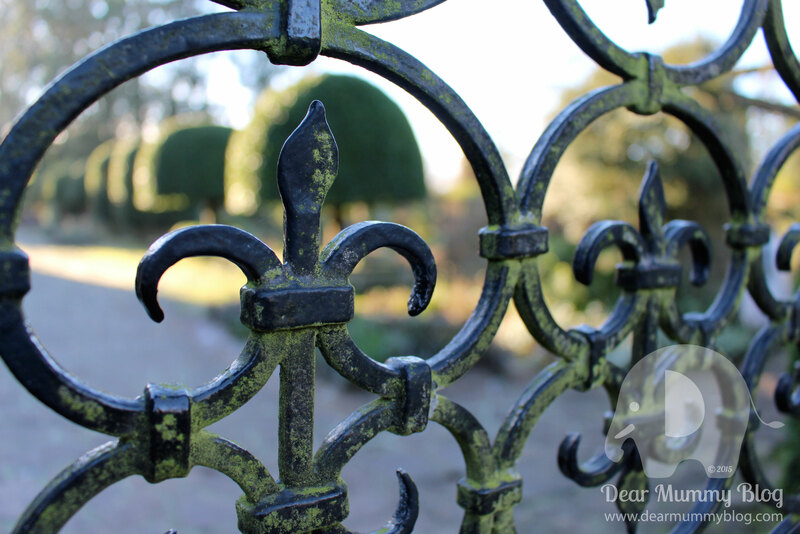 After our hot Irish Stew we walk past the back of the house through the heavy ornate iron gates into the gardens. On our left is The Sunken Garden at the west of the house and it was the second garden Edith, Lady Londonderry, embarked upon after the Italian Garden. A lot of people can hire this garden out for weddings and it’s a beautiful setting for photographs. It funny to think that before 1915 all these gardens used to be plain lawns, it’s much more interesting now! Behind it lays the Shamrock Garden inspired by Irish mythology; the Red Hand of Ulster, The Formorians – a race of half human half demons and a children’s story carved in the topiary. It’s a fairly wacky garden and wouldn’t look out-of-place in Alice in Wonderland my mummy thinks. It’s a really enchanting place and we spend time gazing at the hedges with characters growing out of them. 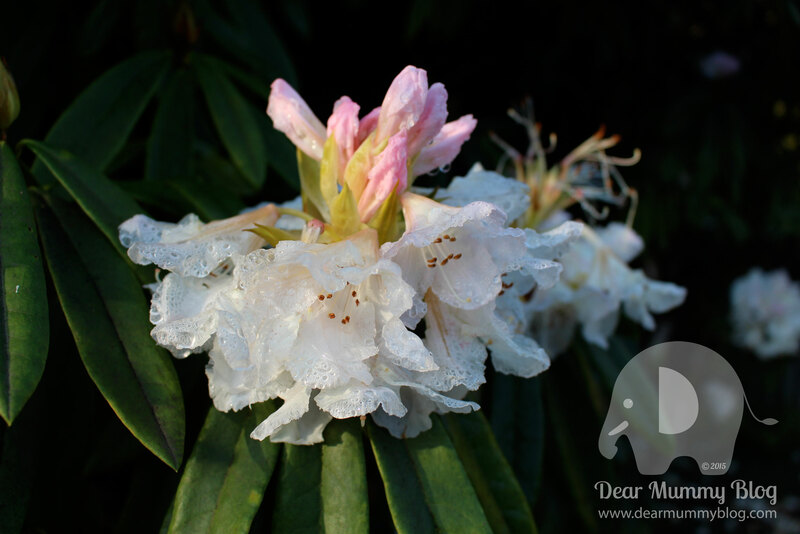 There are water features with pools of ice and flowers in bloom like the Rhododendrons with dew on them, they look beautiful and like they might shatter into glass pieces if we were to touch them. We briefly visit the The Italian Garden and The Spanish Garden with ornate stone work pillars and a water parterre. 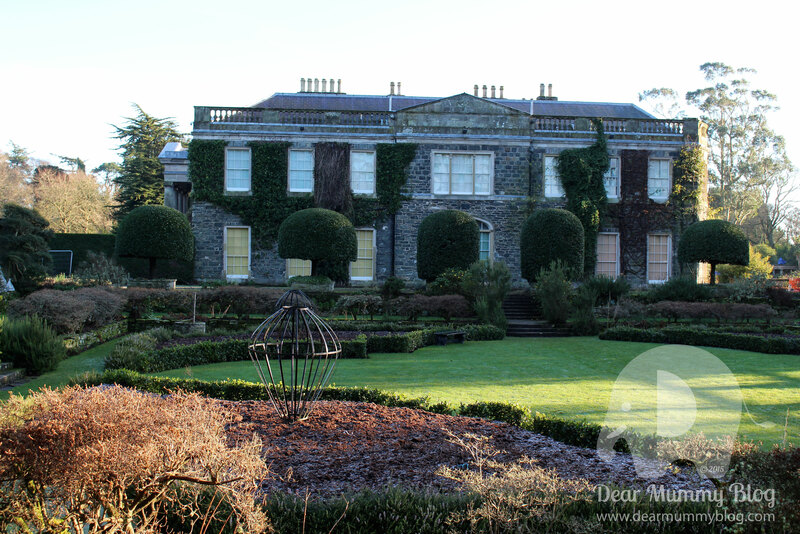 Mount Stewart is a great place to visit in the winter – just imagine how beautiful it would look in Spring and Summer. 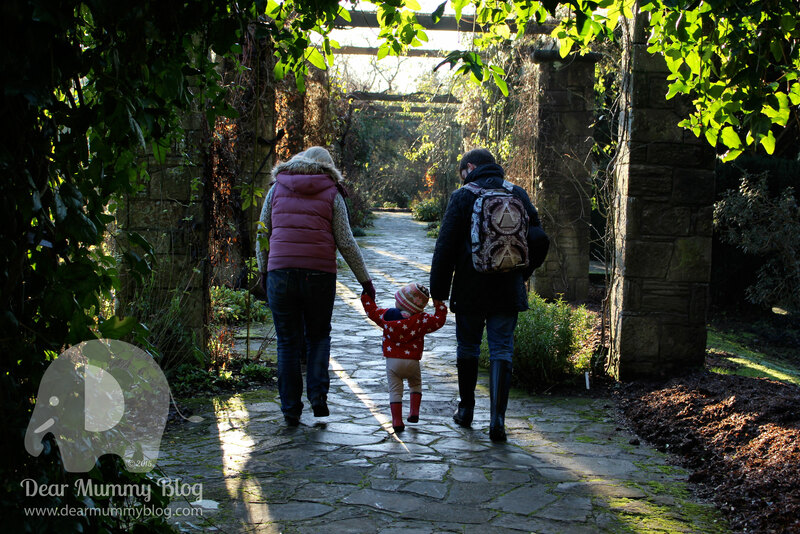 We can’t wait to return and see the roses in the walled garden when we visit relatives again. A lovely winter walk and well worth a trip for relaxation and reflection.